GSM, which stands for "Global System for Mobile Communications", is one of the two major cell phone service standards out there (CDMA, or "Code Division Multiple Access", being the other). GSM is generally considered the worldwide standard for mobile phone networks. When people speak of tri-band or quad-band cell phones, more often than not they are talking about GSM mobile phones and the different frequencies that they operate on. There are four main "bands": 850MHz, 900MHz, 1800MHz, and 1900MHz. Higher frequencies provide for longer range but at the cost of being more prone to interference, whereas lower frequencies have an easier time accessing otherwise inaccessible areas (in valleys, through forests, etc.). For this reason, when people import cell phones to use domestically, they need to ensure that the phone's "bands" are compatible with their chosen service provider. In Canada and the United States, you can get away with the 1900MHz frequency alone (sometimes referred to as PCS, or Personal Communications Service), but you may suffer from signal loss quite often if you live in a metropolitan area (especially in an "urban jungle") or in an area with "interfering objects" like trees, hills, and the like. As such, most people prefer quad-band GSM phones with the 850MHz band (sometimes simply called "cellular"). Operators in the United Kingdom, Europe, and Hong Kong primarily use the 1800MHz band, whereas service providers in India mostly operate on the 900MHz band. GPRS is considered 2.5G technology and it stands for "General Packet Radio Service". Used for over-the-air data transfers, GPRS has a theoretical limit of 160 kbit/sec, but usually transfers about 30-80 kbit/sec. EDGE, or "Enhanced Data Rates for GSM Evolution", is 2.75G technology and is a substantial upgrade over GPRS alone. Although rates can be as high as 473.6 kbit/sec, the average is usually no more than 236.8 kbit/sec. W-CDMA, despite its name, is implemented on GSM-based networks rather than on CDMA ones. This 3G technology improves on the GPRS/EDGE standard. An example of WCDMA (Wideband Code Division Multiple Access) technology is UMTS (Universal Mobile Telecommunications System). HSDPA/HSUPA stands for High-Speed Downlink (or Uplink) Packet Access and is the next generation in high-speed mobile data. In fact, it goes beyond what we would normally considered third-generation, with HSDPA and HSUPA being considered 3.5G and 3.75G, respectively. In Canada, there was only one major GSM network service provider and that was Rogers Wireless, though customers can also choose to subscribe to Fido. Fido was once operated through a company known as Microcell, but it was bought out by Rogers Wireless in 2004. Fido is still run as a separate entity, but it is wholly owned by Rogers. In late 2009, Bell Mobilty and Telus Mobility launched their respective HSPA networks, making them compatible with many GSM cell phones. 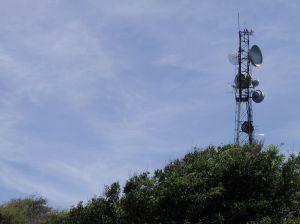 In the United States, there are two main cellular service providers that run GSM-based networks: T-Mobile and AT&T. GSM is the de facto cellular standard for much of the world (including all of Europe and most of Japan), with a few notable exceptions. South Korea is a CDMA-only country with every Korean operator working under the CDMA framework. This is unfortunate, because it is difficult to import some of the flashiest cell phones offered in the world today as it is challenging (if not impossible) to activate a Korea-based mobile phone on a foreign (e.g., Canadian, American, or European) network. This means that you cannot take advantage of the latest in Mobile TV, super slim form factors, and 8MP+ camera phones coming out of Korea from such notable manufacturers as Samsung, LG Electronics, and Pantech & Curitel.